Ir. Pr. Hj. Redzuan is a certified Construction Project Manager with more than 31 years of working experience, covering a number of aspects in the civil, building, and construction industries. His field of expertise includes engineering construction, engineering and construction contracts, estimating, tender bids, building materials and procurement, project planning, management and cost control, and subcontract management. Ir. Redzuan has vast project management experience in industrial type structures, civil works, and infrastructure works. 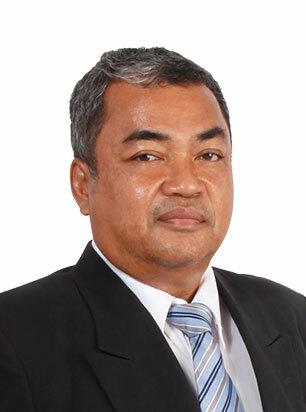 He has managed a great number of multi-million worth projects such as the construction of Jasin Technical School Complex, main access road package in Putrajaya, high-rise apartments in Johor Bahru, hostel blocks in USM and ILKAP, upgrading work of Ungku Omar Polytechnic Ipoh, and currently the upgrading and beautification work in Masjid Jamek area. He was the General Manager responsible for the construction of Iskandar Coastal Highway from Johor Bahru to Nusajaya, and the reclamation work of Precinct F1 and A2 Island at Danga Bay. Owing to his contribution in improving the transportation systems and consequently the living standards of Johoreans, he was awarded the very rare and prestigious “Pr.” title.